Time to show the Captain’s dark side. Dark rum was increasingly losing out to the lighter variety. 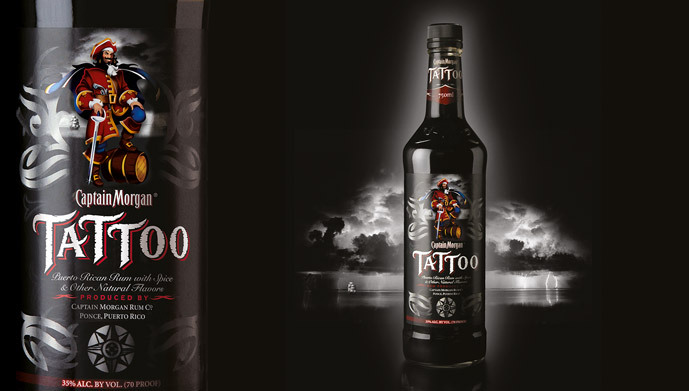 Our challenge was to launch a new variant of the popular Captain Morgan brand. To encourage consumers to experiment with the deeper flavours of dark rum, we needed to create a more dramatic standout bottle that would appeal strongly in on-trade environments. 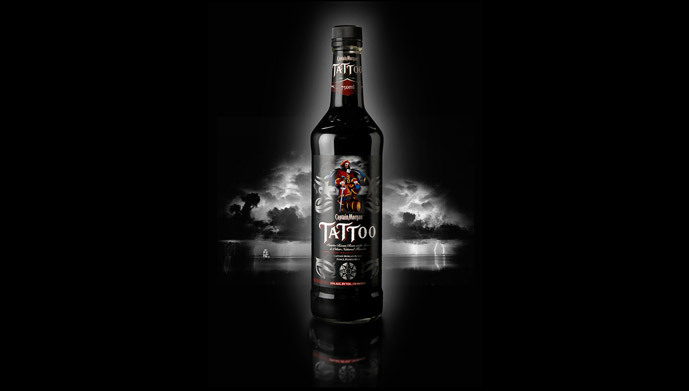 With Tattoo, we turned a negative into a positive, celebrating the darkness of this particular Captain Morgan with a jet-black bottle. Young partygoers loved its threatening, stormy seascape and sense of mystery. And the name didn’t hurt either.